The Cheesecake Factory® Original Cheesecake - 10"
The Cheesecake Factory® White Chocolate Raspberry Truffle® Cheesecake - 10"
Please Note: To ensure that this item arrives in perfect condition. It will be shipped with dry ice in an insulated container and rushed via 2-Day Express delivery. To avoid weekend transit, orders placed after 10AM PT / 1 PM ET on Wednesday will ship on Monday of the following week. The Cheesecake Factory® gift cards are not redeemable at Harry & David. 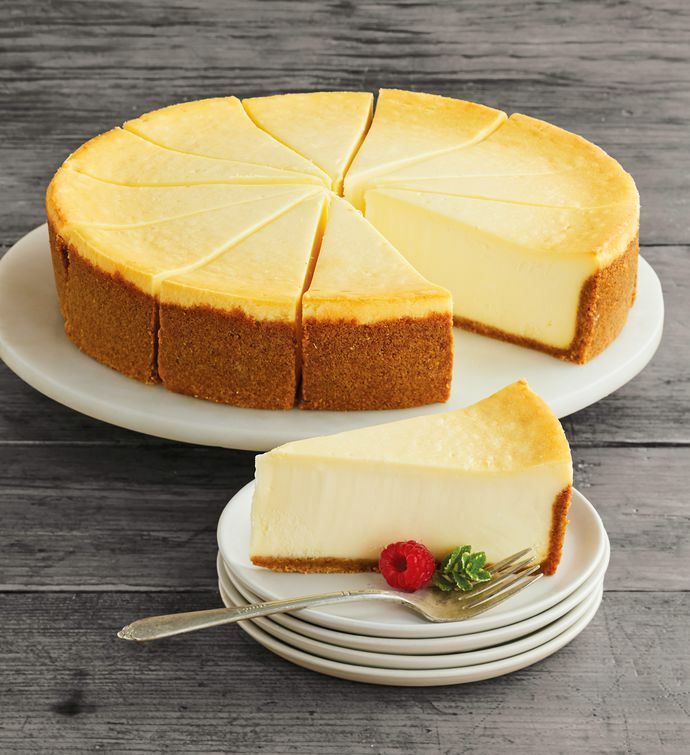 The Original Cheesecake from The Cheesecake Factory® dates back to the late 1940s. With a crust of crushed graham crackers and a delicious, creamy filling, this cheesecake is simple but extravagant. And you can taste the tradition and attention to quality in every bite. Have this conveniently pre-sliced cheesecake delivered and you'll understand just what we mean.